The Colour Coded Holy Quran presented by idara is a first unique attempt amongst all to divide it in seven parts according to seven Manzils of The Holy Quran and each Manzil is with a different Colour to distinguish them. This will help the recital to recite the complete Quran in a week by reciting each Manzil a day. 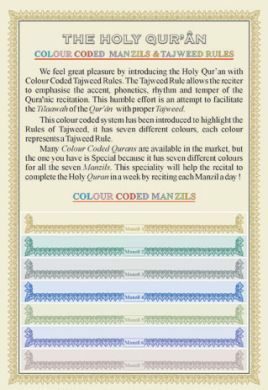 This Colour Coded Tajweed Quran comes with the “Persian” script, commonly used in India, Pakistan and throughout the world. 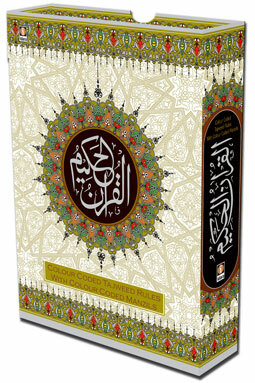 It is a deluxe edition, shrink-wrapped, with presentable box. Excellent for giving as a gift too! 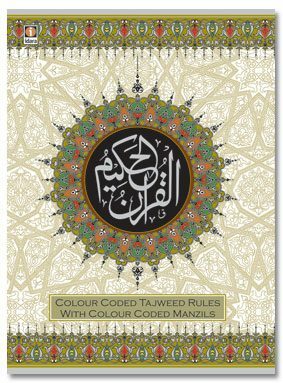 Medium Size Quran (20.5 x 15 cm) “Deluxe” EditionThis Colour Coded Tajweed system has been introduced by idara to highlight the Rules of Tajweed with seven different Colours, each colour represents a Tajweed Rule. 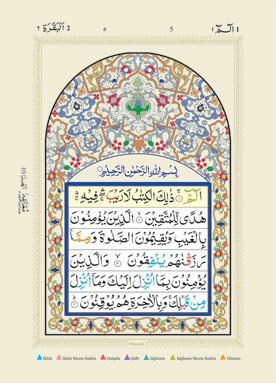 The Tajweed Rule allows the reciter to emphasise the accent, phonetics, rhythm and temper of The Quranic recitation. 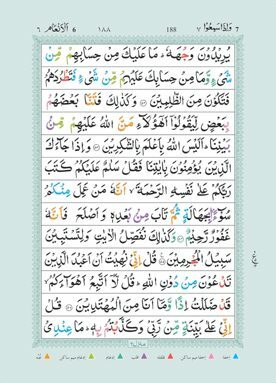 This humble effort is an attempt to facilitate the Tilaawah of The Holy Quran with proper Tajweed. It also has 30 pages of Tajweed rules in ENGLISH.